The Institute of Education Sciences (IES) was established by law in 2002 as a branch of the US Department of Education with the specific purpose of providing "rigorous evidence on which to ground education practice and policy." (IES, 2009) In this role, the IES occasionally publishes practice guides designed to inform educators about effective evidence-based educational practices. In September 2008, the IES released a practice guide, Reducing Behavior Problems in the Elementary School Classroom, intended for elementary school teachers and administrators. The guide offers five recommendations for curbing behavior problems and fostering positive student behavior. The authors present each recommendation with supporting evidence of effectiveness. The purpose of this article is to show how the Safe & Civil Schools model embodies these five recommendations. Identify the specifics of the problem behavior and the conditions that prompt and reinforce it. This recommendation is based on the premise that "the success of a behavior intervention hinges on identifying the specific conditions that prompt and reinforce the problem behavior..." (p. 14) The authors maintain that by observing and recording the frequency, duration, and circumstances under which the behavior occurs, teachers are more apt to design an intervention that addresses the underlying causes of the misbehavior, and thus, the student is more likely to achieve a positive change in behavior. Information about the underlying causes of behavior can be used to effect a change in behavior. All Safe & Civil Schools materials are rooted in the theories of applied behavior analysis, which holds that behavior is learned, and therefore changeable through the use of systematically applied interventions based on data analysis of the problem behavior. Lasting behavioral change is more likely with positive, rather than punitive, techniques. No student should be intentionally or unintentionally humiliated or belittled. Another concept essential to achieving lasting behavioral change is the importance of using a function-based approach to behavioral problem solving. 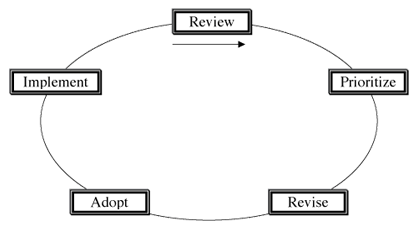 In Behavioral Response to Intervention: Creating a Continuum of Problem-Solving and Support, a companion volume to Interventions, the authors state, "Chronic repetitive behavior usually serves a purpose for the individual exhibiting it...the purpose of a function-based approach is to develop a hypothesis about why the student exhibits the behavior, then tailor the intervention to the hypothesis (p 12-13)." In other words, knowing the reason why a student exhibits a particular behavior is key to developing an effective intervention. This brings up the second point—data collection. To determine the why, we must have data. That data will determine the intervention. We have long espoused the collection and analysis of data as the primary driver of decision making. Data can and should be used in every level of a school�s structure (schoolwide, classroom, individual) to determine appropriate interventions. Data-driven decision making is the first listed feature of the Foundations process (p. 4). To aid in the collection of data, Foundations includes three unique surveys on school safety as perceived by staff, students, and parents. When Safe & Civil Schools associates work with school teams, they spend a day discussing the importance of data collection and showing them how to use a variety of data collection methods. All of the Safe & Civil Schools resources include reproducible data collection forms (e.g., misbehavior recording sheets, observation sheets, satisfaction surveys, self-assessment checklists, behavior logs, planning forms, etc.). Each form includes suggestions and guidelines for use. Modify the classroom learning environment to decrease problem behavior. This recommendation relies, once again, on the precepts of applied behavior analysis, relating to the underlying causes of problematic behavior. If the problem behavior is triggered by an antecedent (existing conditions that prompt the behavior), it is possible to remove the antecedent and thus eliminate the behavior. Since 1998, Safe & Civil Schools has been advocating these recommendations (and more) in the classroom component of the series, CHAMPs: A Proactive and Positive Approach to Classroom Management. The recommendation advises teachers to "rearrange the classroom environment, schedule, or learning activities." In this module, teachers explore seven task, two of which address the first suggestion in this recommendation, modifying the daily schedule (Task 1), and rearranging the classroom (Task 2). Module 2 also contains a section on developing behavioral expectations and classroom rules. The recommendation advises teachers to "revisit and reinforce classroom behavior expectations." In this module, teachers learn about a three-step process for communicating behavioral expectations, which specifically addresses the second suggestion in this recommendation. The recommendation advises teachers to "individually adapt instruction to promote high rates of student engagement and on-task behavior." In this module, teachers practice six skills to aid with the third suggestion—engaging students and keeping them on-task. The second task in this module stresses the importance of effective instruction and presents five factors teachers can consider for improving their instruction. In addition to these three aspects of effective classroom management, CHAMPs also guides teachers in developing short- and long-term classroom goals, preparing for the first month of school, monitoring student behavior and revising their classroom management plans accordingly, and using effective correction procedures. Teach and reinforce new skills to increase appropriate behavior and preserve a positive classroom climate. The first point in the recommendation once again touches on the importance of collecting data, this time by observing the student or by employing a self-monitoring strategy. Both CHAMPs (on a classroom level) and Interventions (on an individual level) guide teachers in this area. Module 6 in CHAMPs contains information and forms teachers can use to observe students and gather the data they need to determine where students need explicit instruction. Intervention K in Interventions contains detailed information on self-monitoring and self-evaluation that teachers can use to involve students in keeping records of their own behavior with the ultimate goal of making changes to that behavior. Modify conditions (organization, schedule, physical arrangement) to encourage more responsible behavior and discourage irresponsible behavior. Implement procedures designed to encourage responsible behavior. Remove any aversive aspects of exhibiting responsible behavior. Draw on relationships with professional colleagues and students� families for continued guidance and support. The authors point out that, "social relationships and collaborative opportunities can play a critical role in supporting teachers in managing disruptive behavior in their classrooms" (p. 37). They stress the importance of collaboration with other teachers and the involvement of family and community. All Safe & Civil Schools materials contain suggestions to build positive relationships with student�s families (CHAMPs, p. 19), involve parents and community in behavior changing strategies (Foundations, p. 5), and be sensitive to the needs of different families (Behavioral Response to Intervention, p. 127). We believe that parents, families, and community members are integral components in any successful effort to foster responsibility in students and to engender lasting positive change in schools. We also encourage teachers to work cooperatively with colleagues at every opportunity (CHAMPs, p. 25) and provide Peer Study Worksheets to help them do so. We encourage them to lay the groundwork for a collaborative, problem-solving culture (B-RTI, p. 81), and to productively involve the entire staff in all improvement activities (Foundations, p. 4). In a Foundations project, Leadership Teams learn to involve the entire staff in the improvement process. Assess whether schoolwide behavior problems warrant adopting schoolwide strategies or programs and, if so, implement ones shown to reduce negative and foster positive interactions. In this final recommendation, the authors suggest that classroom teachers (and other school staff) "can benefit from adopting a schoolwide approach to preventing problem behaviors and increasing positive social interactions among students and with school staff" (p. 44). Address schoolwide behavior issues by involving a school improvement team. Collect information on the hot spots throughout the school (the frequency of particular schoolwide behavior problems and when and where they occur). Monitor implementation and outcomes using an efficient method of data collection and allow ample time for the program to work. If warranted, adopt a packaged intervention program that fits well with identified behavior problems and the school context. The Foundations process is directed by a "school improvement team," as suggested in the recommendation, but beyond that, the team should by representative of all school staff and be site-based. The Foundations process is data-driven and provides surveys and observation forms that can be adapted for school use to collect information about problematic behaviors in all common areas of the school. The Review step involves collecting and analyzing multiple sources of data (annually and periodically throughout the school year). The Prioritize step involves using that information to determine (or confirm/change) the improvement priorities and develop an action proposal. The Revise step involves studying suggested policies and procedures to add, modify, or eliminate in order to improve the action proposal. The Adopt step involves presenting the action proposal to the entire staff for approval or rejection. The Implement step involves ensuring that the action proposal is launched, evaluated for effectiveness, and maintained over time. This cycle augments the third suggestion of the recommendation. The arrow indicates the ongoing nature of the cycle. The one suggestion in this entire document that we take minor issue with is, "If warranted, adopt a packaged intervention program that fits well with identified behavior problems and the school context." We believe this to be virtually impossible. Schools (like the people who comprise them) are unique—each with its own culture, values, and problems. Hence, no one-size-fits-all approach (or "packaged intervention program") can be truly effective. All Safe & Civil Schools programs and materials are designed to be tailored by school personnel to fit their particular beliefs, styles, structures, and circumstances. You may download a PDF of the IES practice guide, Reducing Behavior Problems in the Elementary School Classroom. You may also download a PDF version of this discussion.